Imagine Pain Relief without Drugs or Surgery. 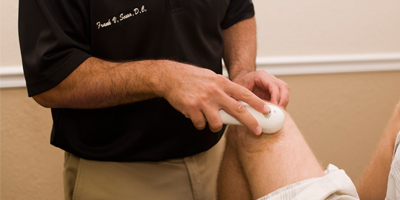 Before you suffer with pain one more day, call (727) 669-3900 today to schedule an appointment. Chiropractic care focuses on problems with the musculoskeletal system and nervous system, and the effects these problems impose on general health. Chiropractic care is used most often to treat neck and back pain, pain in the joints of the arms and legs and headaches. According to the U.S. Centers for Disease Control, nearly 30 million children ages 5-14 participate in organized sports, and more than 3.5 million receive medical treatment each year for sports injuries. Active Release Techniques® is a patented, state of the art, hands-on soft tissue movement based massage technique that treats problems with muscles, tendons, ligaments, fascia and nerves. Many conditions can be resolved quickly and permanently with ART. Did you know that the Florida Automobile No-Fault Insurance Law has changed effective January 1, 2013? According to the new law, each individual is still required to carry $10,000 in Personal Injury Protection, however, if you are in an accident and require medical intervention, you are not entitled to using the full $10,000 unless your injuries are deemed an emergency medical condition.